Note: This article was originally published in Hogan’s Alley #4 in 1996. We have updated facts where necessary. Few cartoonists have possessed the Barnumlike knack for selling oneself that Al Capp demonstrated in Li’l Abner. From publicity-inducing gimmicks such as the contest to discover the world’s ugliest woman to marrying off his protagonist to singlehandedly creating a holiday, Capp promoted his product in ways that J. Walter Thompson would envy. 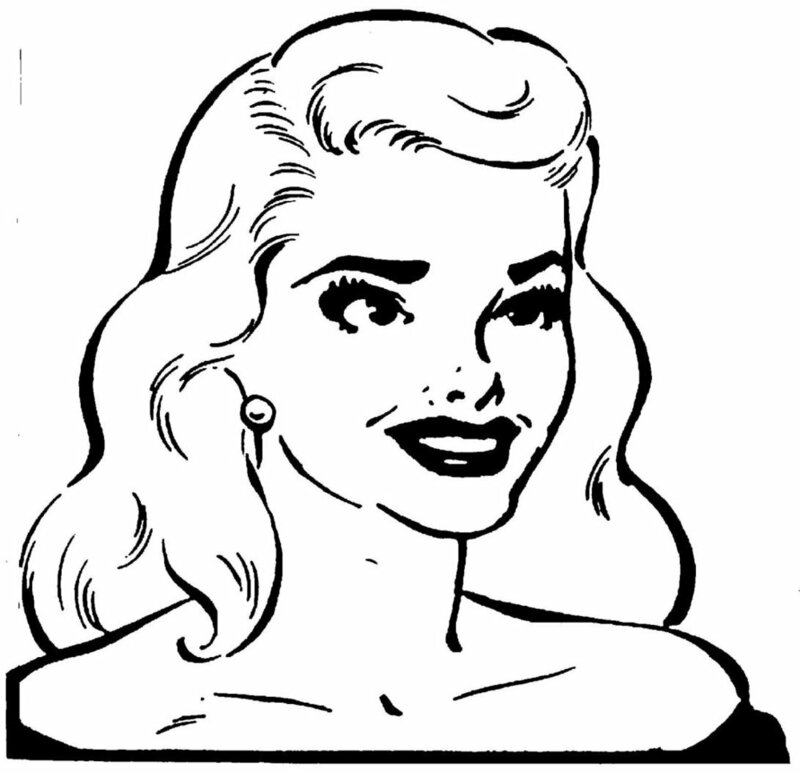 It wasn’t unusual, given his predilections, when Capp culminated his 1951 “Nancy O.” storyline by launching a contest: Abner readers were instructed to send in photos of the woman they considered to possess “the sweetest face in the world.” Capp would choose the winner from the photos, and this would be the visage that would then be applied through cosmetic surgery onto Nancy O., a Mammy Yokum lookalike. To Capp, this contest was one in a series of attention-getting ploys. To Kitty Pankey, it was much more than that. The May 14, 1951, Li’l Abner strip announcing Pankey as the winner of Capp’s search for the Sweetest Face in the World. In 1951, Kathryn Pankey (always known as “Kitty”) was 20 years old and enrolled at the University of Florida in Gainesville. She had transferred to the school from Ward-Belmont, a junior college in Nashville. (Ward-Belmont is today known as Belmont University, and its most famous alumna is Sarah Ophelia Colley, who eventually became better known as Minnie Pearl.) Pankey’s photograph, which had been taken a year earlier in Nashville by Walden Fabry, a local photographer, lay on the society editor’s desk at the Miami Herald and was soon to be published accompanying the announcement of Pankey’s engagement. A staffer at the paper spotted the photograph and, mindful of the current contest in Li’l Abner, suggested to the Herald’s society editor that Pankey’s photo merited a submission. The staffer persuaded the society editor to contact Pankey’s mother, who was a personal friend, to ask permission to submit the photo. “No one in my family actually submitted the photo to the contest, although we all claimed my fiance did,” Pankey said. The contest—much less the possibility of winning it—barely registered with Pankey, now 66. 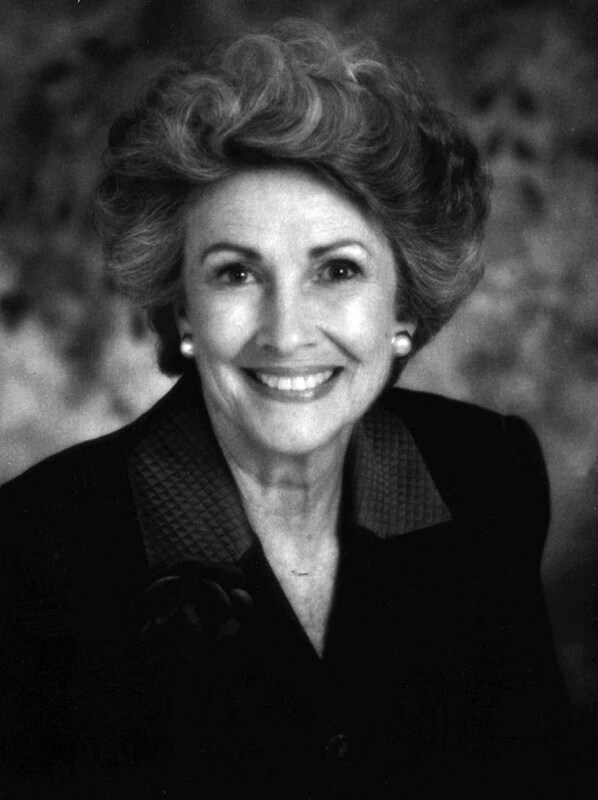 (Editor’s note: Pankey, who married and was known as Kitty Pankey Kirkland, passed away in August 2014 at the age of 83.) “I read the comics occasionally and of course I knew of the strip, but since I lived in a dorm, I didn’t see the paper every day,” she said. “I’d been told I’d been entered in the contest, but my goodness—it was a national contest; I didn’t give winning a second thought.” Also, Pankey had become a bit accustomed to winning contests on the strength of her attractiveness: she was May Queen at Ward-Belmont and Miss University of Florida. Despite the attention, Pankey never lost perspective on what these victories really meant. “When I was named Miss University of Florida, my parents never even mentioned it, and after a while I got my nose out of joint about it,” she said. “When I asked why they weren’t excited about it, they told me that they thought it was very nice, but that good looks will only get you so far, and then you’d better have something to back it up with. “I got a lot of credit from my family if I made good grades or did good things, like leading a Girl Scout troop, things I had to put some effort into and that other people benefit from,” she said. “My parents always had their priorities in order, and they passed that on to me.” (Kirkland remains vital and attractive into her 60s, and she refers to herself in this way not with conceit but with matter-of-fact self-assurance. She is still approached to appear in advertisements for products for mature consumers, and refreshingly she views her appearance as a trait that has been advantageous but not one that has defined her.) Soon, however, she would feel differently. She received a telephone call from Abner’s syndicate, United Feature, asking her whether she could fulfill certain requirements if she won the contest: Could she go to New York? Could she go to France? She responded affirmatively to both, moving her closer to winning; as it turned out, another woman had been considered for the grand prize, but she was married and unable to make time for the travel obligations. While professing that winning the contest wasn’t anything to “fall down dead about,” Pankey was nevertheless swept up in the events that ensued. First was a trip to France, which today is a common international destination—not so in 1951. Seven years after the Nazi occupation, France was still rebuilding itself, physically and emotionally. 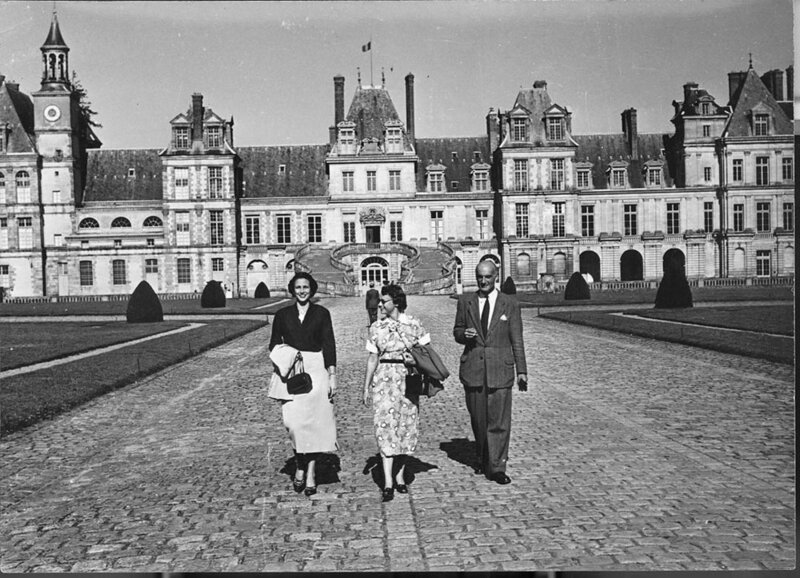 American tourists were not yet commonplace, and so Pankey was treated royally, since she was a guest of the French government. Flown in on a Pan-Am Stratocruiser, she and her mother, who accompanied Pankey on her travels, lodged at the Prince of Wales Hotel. She appeared on television with a French prizefighter who stood a head shorter than she; and since neither spoke the other’s language, theirs was a most awkward exchange. (In fact, the television station’s programmers, she later found, had presented her to its audience as the reigning Miss America, a gaffe that, as a non-Francophone, Pankey could not recognize. She later learned of the faux pas but had no way to correct it.) 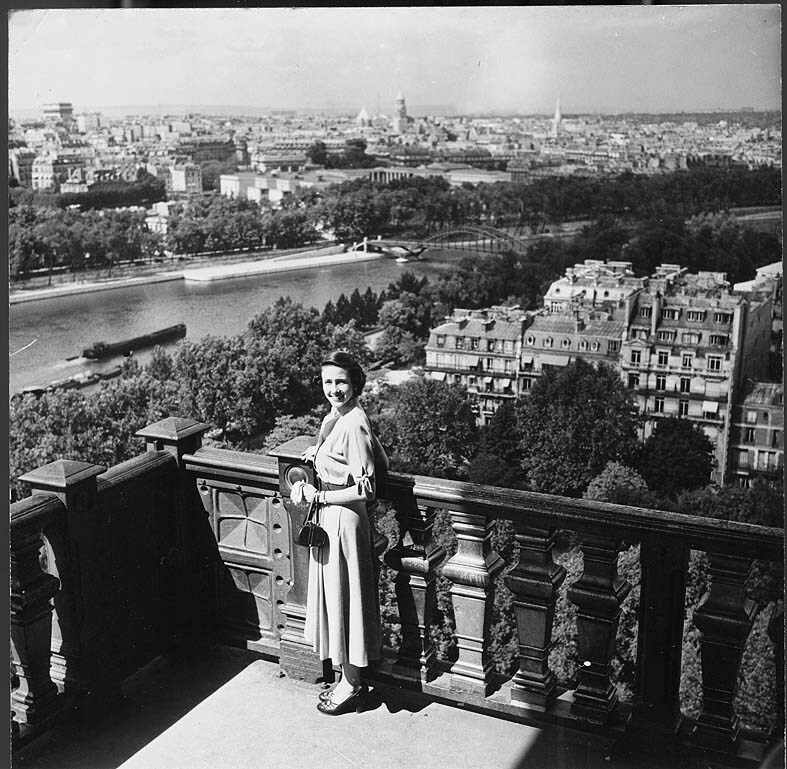 Later in the day, she and her mother lunched in the Eiffel Tower’s restaurant, serenaded by a full orchestra, which would periodically ask her for requests. Pankey in 1996, at the time of this feature’s original publication. After France came a visit to New York. Al Capp’s brother, Elliot Caplin, met Pankey there and escorted her and her mother to the Warwick Hotel, where their suite awaited. Upon entering the suite, Pankey saw a huge bouquet of flowers that Capp had sent. Caplin plucked the card from the bouquet and read it, instantly dissolving into hysterical laughter—the florist had signed the card “From Al Clapp.” “Elliot loved it that his famous big brother had been reduced to ‘Al Clapp,’ ” she chuckled. The reason for the bouquet is one of Pankey’s only regrets about the way the contest’s events turned out: Capp was unable to show up, and she never got to meet him; he had sent the bouquet in his stead. He was having health problems related to his leg, which he had lost during childhood and which had been fitted with a prosthetic. “I never spoke with him or met him. I wish I had pursued it more,” she said. “After I moved to Orlando in the late ’60s, I read in the paper that he was going to speak at Rollins College in Winter Park, which is nearby. I had a scheduling conflict, and I chose not to go see Al Capp. What’s celebrity in America (even in 1951) without an appearance on national television? While in New York, Pankey appeared in a skit on The Milton Berle Show. The skit, which also featured Robert Alda and Uncle Milty himself, was corny, Pankey said, and she was unpersuaded to discuss it, other than to say that she had never been a Milton Berle fan. This article originally appeared in the sold-out Hogan’s Alley #4. To buy a complete, unretouched PDF facsimile of the issue, click the cover. Pankey and her mother returned to Florida, although life remained hectic for a time: practically upon touchdown, Pankey began frantically planning her July wedding, even as she was plagued by marital doubts, since she had so readily fallen in love with Angelvin. Wracked with questions, she telephoned an old high-school boyfriend to confide her indecision. Time showed her that her instincts were reliable: she married but after seven years divorced. Eventually, she began dating her old boyfriend/confidant; they married—she now goes by Kitty Pankey Kirkland— and remain so 35 years later, the parents of two children.